Thank you for taking the time to complete our feedback form. It will take approximately 5 minutes of your time. We greatly value your feedback and welcome any comments that you may have to help improve our tours. Additionally, our team bonus structure is based on guest feedback, they strive to ensure that you have the best experience possible and great work deserves to be rewarded! To thank you we would like to send you a voucher of ZAR 1000- which you can use for a future booking with Tailor Made Safaris. Thanks again for your feedback! Don't forget to submit the form. Within a week you will receive a ZAR 1000- voucher as a thank you, which you can use for a future booking. (Vouchers are not transferable to others, but can be combined with other vouchers to a maximum of 10% off the total price of a tour, and are valid for 10 years after the date of issue. They cannot be combined with other promotions and can only be used once. 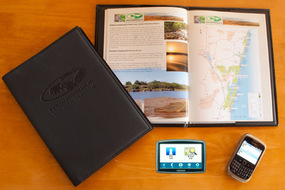 Vouchers can only be used for tours (self-drive or guided) in South Africa, not for tours to other countries).